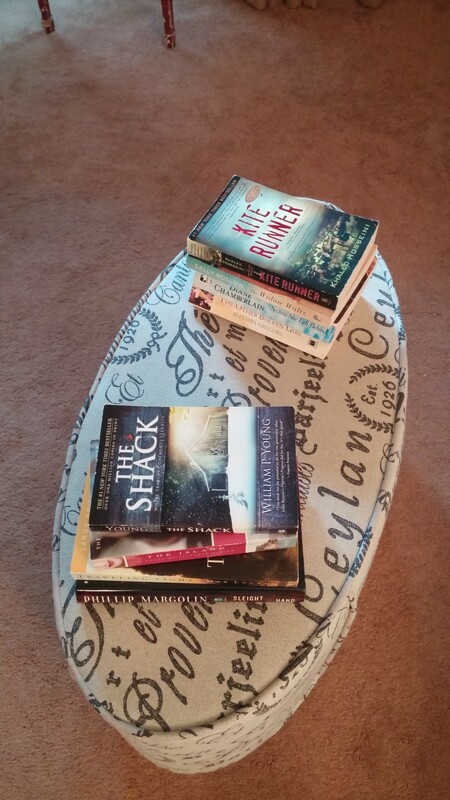 If you love to read or are a casual reader, this post is for you! I have been collecting books in my home and my parents home that we no longer read. 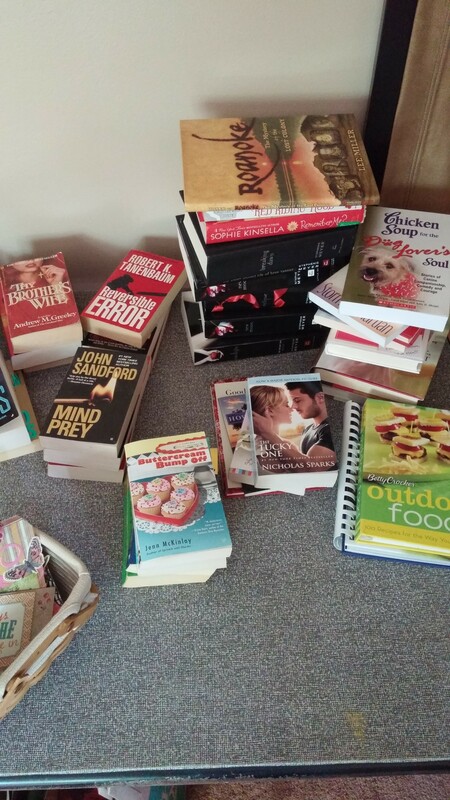 I decided to donate these books but then thought about this gathering idea! Before donating the books, I decided to invite a few friends over who I know love to read and maybe have books around they wish to get rid of also. 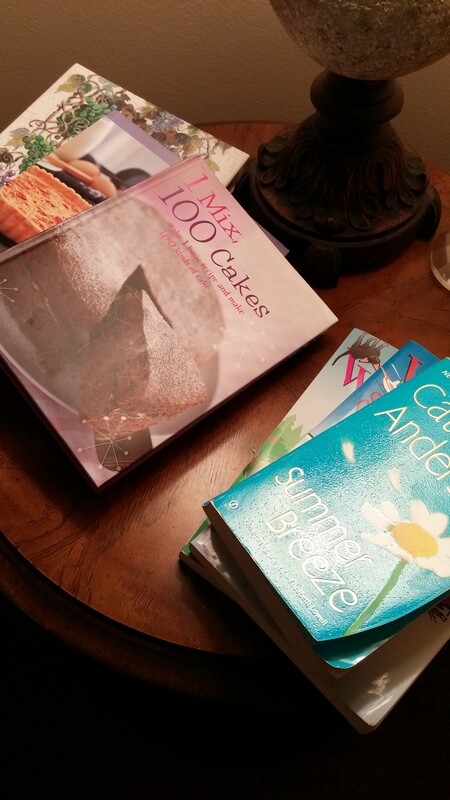 It is a super simple gathering idea….bring the books you no longer want, take home new books! Of course I had to throw food into it! To keep it simple and since most people enjoy contributing to the food, a salad potluck! 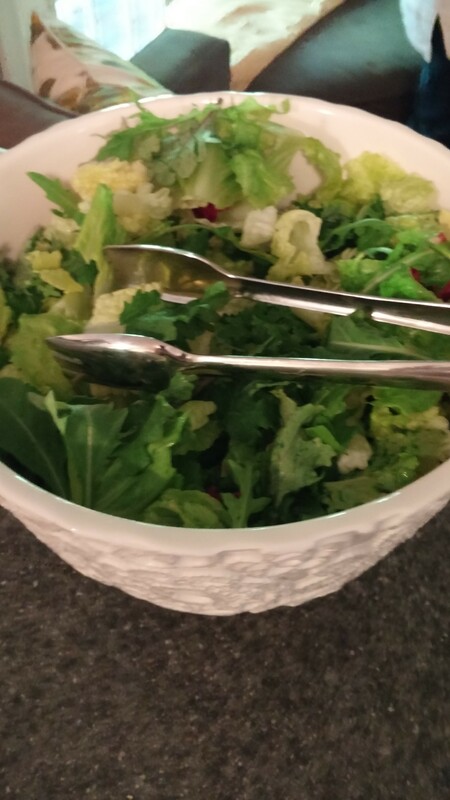 I provided the greens and a few of my favorite salad ingredients and my guest brought one of their favorite ingredients for the salad. I also provided a protein since it was around dinner time! We had a nice variety of books and food! 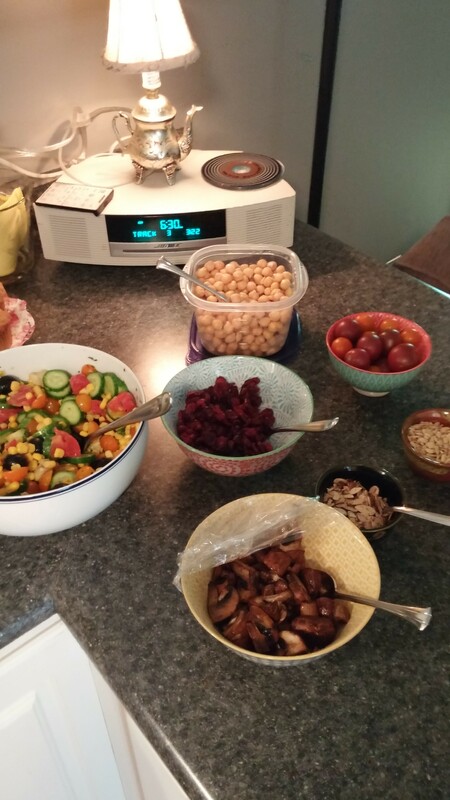 Friends brought cranberries, almonds, shredded cheese, chickpeas, marinated mushrooms, a yummy tomato corn salad. 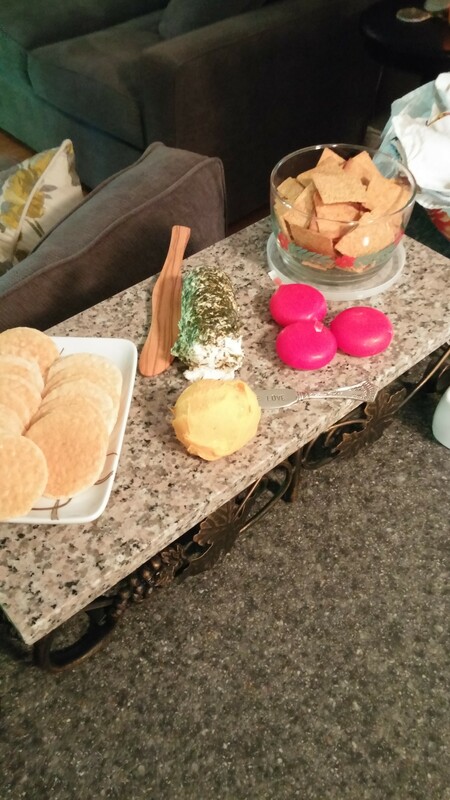 I also provided home-made salad dressings, drinks and a dessert. Keep it simple! The books left at the end of the evening will be donated to a good cause! 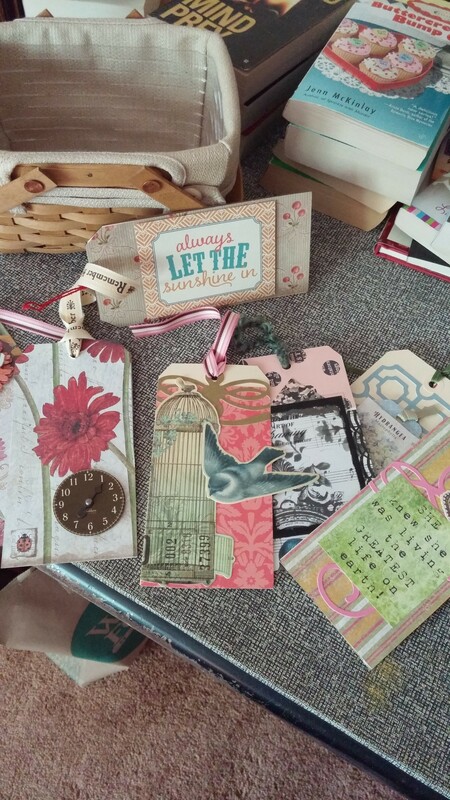 My dear friend Diane and I had gotten together before the party and created tags to use as bookmarks. I gave these out at the party! I always love to have a special something for my guests to take home! Dust off your bookshelves and have a few friends over! ENJOY!